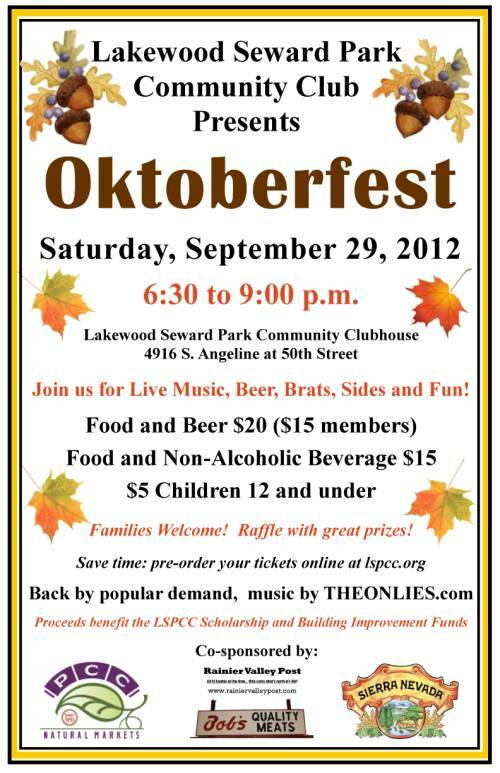 A time to celebrate with neighbors and friends, please join us at the Lakewood Seward Park Community Association's 4th consecutive Oktoberfest party! It's not too late to join the community club to receive a member discount on admission, get free admission to the Halloween Ice Cream Social on October 28th and other member benefits. Please see lspcc.org for details. 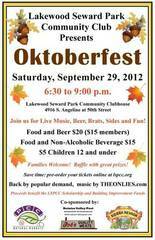 Oktoberfest is always standing room only — please consider getting tickets online (www.lspcc.org) or sending a check with your ticket request to 4916 S Angeline St, 98118. See you there. Please feel free to share with friends and neighbors.